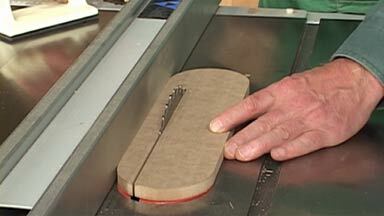 In Shop Notes issue 90, you'll find an article about making tough table saw cuts easily. One of those tough cuts is cutting thin strips. Part of the problem is the opening around the blade on a stock table saw insert. It's too wide. Narrow strips could fall into it. That could ruin the piece or even worse, kick back at you. An easy-to-make zero clearance insert is the solution.